The Michigan Supreme Court has agreed to hear oral arguments in a case that could determine whether Republican lawmakers violated the state Constitution in adopting watered-down sick leave and minimum wage laws last fall as part of an attempt to pre-empt citizen petitions on the issues. Michigan’s highest court agreed to hear the case on July 17 as part of a court order issued Wednesday. The order comes after the state House and Senate previously asked the court to review the issue, as Democrats requested an opinion from Attorney General Dana Nessel on whether the laws are constitutional. Nessel will not issue any such opinion at this point, according to spokeswoman Kelly Rossman-McKinney. The Supreme Court has instead asked the attorney general’s office to submit legal briefs arguing both sides of the case. Organizers in favor of last year’s two ballot proposals gathered more than 370,000 signatures in support of each of them — far more than the 252,523 required to put the measures to a statewide vote. But GOP lawmakers opted to adopt them in September instead. The Constitution allows the Legislature to do so within 40 days of when the petition is received, which prevented the measures from appearing on the November general election ballot. Then after the election, Republicans passed new bills that significantly amended the minimum wage and paid sick leave measures they had just adopted. Former Gov. Rick Snyder signed the new bills into law during the Lame Duck session. Under the new laws, Michigan’s minimum wage rose last Friday to $9.45 an hour. New requirements for employers offering paid sick leave also took effect last week. The minimum wage will rise to $12 an hour by 2030 — eight years slower than the ballot measure had scheduled. The initial sick leave ballot proposal mandated 72 hours of paid sick leave, while the current law requires 40 hours. The court will consider many issues: whether it will issue an advisory opinion on the laws, whether the Michigan Constitution stops the Legislature from adopting and amending a ballot proposal in the same legislative session, and whether the laws violate a section of the Constitution that outlines the Legislature’s authority to adopt petitions. 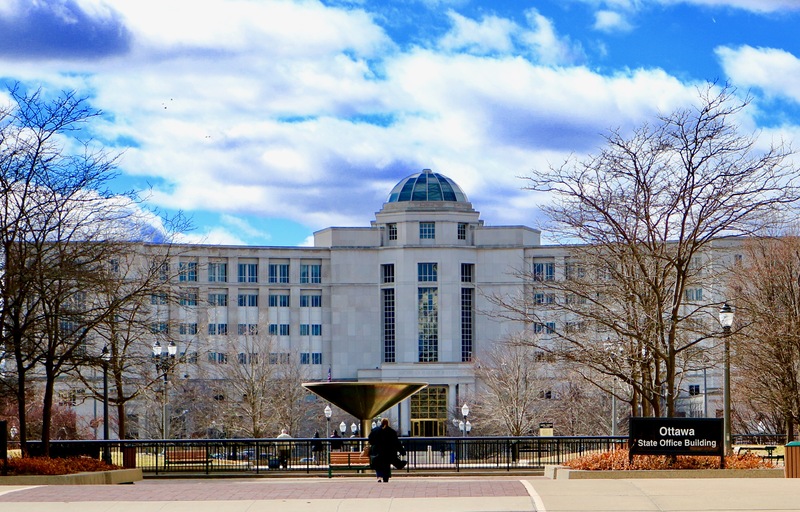 The Michigan Supreme Court has asked Nessel’s office to submit a brief in support of the enacted legislation by May 15, and the opposing brief by June 19. University of Michigan Law Professor Sam Bagenstos, who unsuccessfully ran for the Supreme Court as a Democrat last year, said he thinks the court has the option to decline to issue its own opinion, but said it’s more likely it will offer one. “Once the court decides the issue, that’s really going to decide the issue for everybody,” Bagenstos said. Former Lt. Gov. Brian Calley, now-president of the Small Business Association of Michigan, said he’s confident that the two currently passed laws are constitutional. The original sick leave ballot initiative was spearheaded by a ballot committee called MI Time to Care. Danielle Atkinson, the committee’s co-chair, criticized the GOP-controlled Legislature in a statement. “Paid sick time has wide support from the people of Michigan, so much so that hundreds of thousands of people signed a petition to enact the law via the ballot,” Atkinson said.